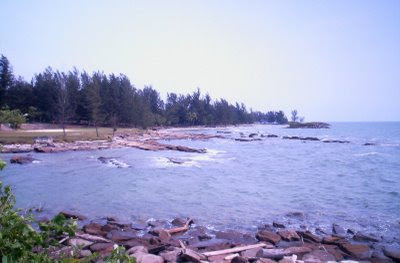 View of Pantai Temasya shoreline from the northern point of the beach. 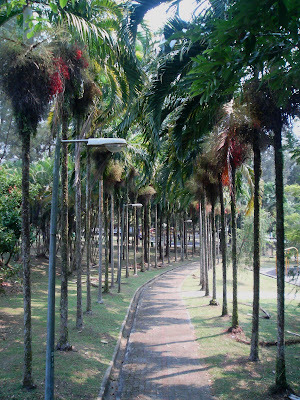 Tall Carpentaria Palms ( Carpentaria acuminata) line up this footpath at the lush greenery environment within the beach landscaped areas. This is where all cars that enter the beach area make their turns. 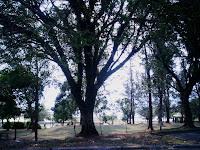 The park at the Temasya Beach is richly planted with trees. 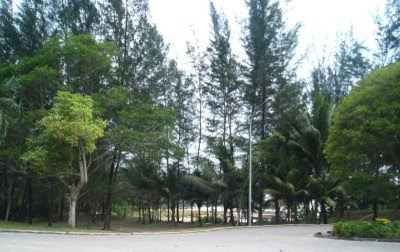 Here tall casuarina trees ( Casuarina equisitifolia) dwarf the coconut palms below. I'm glad you come back here!